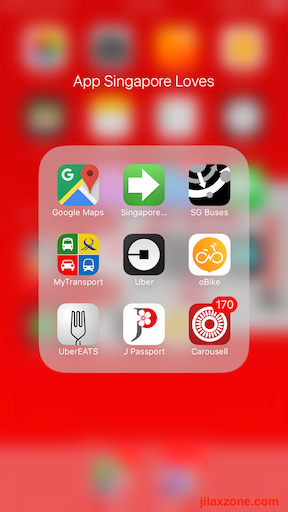 These are apps available both on iOS and Android platforms that used by Singapore residents daily to help them on their daily needs which you as tourists will also love to know and use them. I bet, even local Singapore residents may not know every single apps mentioned here. Singapore is a country name. Singapore is also a city name. Just in case you are wondering why, that’s mainly because Singapore is considered so small to split its area into different cities, its stretch about 50 KM from east to west and 27 KM from north to south. That’s why the area is densely populated with tall office building and residences, although not as dense as Hong Kong (yet), sometimes you can get lost in between them. And because in certain area of Singapore, especially the newly built estates area, Singapore built them so nice with similar patterns, sometimes it’s also difficult to determine the correct direction since going straight, left or right, all seems to be the same. So these apps surely will help you to not get lost in Singapore. It comes pre-installed with most Android phones and tablets, while for iOS, I guess most of us have Google Maps installed since its a de-facto standard for earth map. Google Maps can show you the location, how to go from point A to point B, show you the traffic and if the area/country is supported like Singapore, the map can give you suggestions on which public transport to take and the fastest route to reach destination. 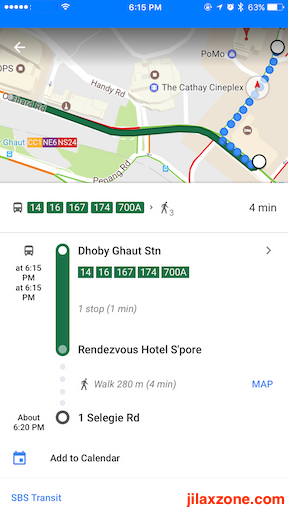 Google Maps is good when you are looking for Singapore landmarks, such as MRT stations, malls, tourist attractions places and famous restaurants. 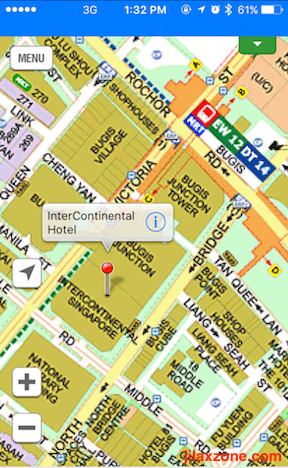 But when it comes to look for a more detailed address of certain apartments, condos, hawker centers, plus which buses are available at certain bus stops, Singapore Maps by Street Directory is the app you are looking for. To give you the picture: when I did UberEats delivery, I was given a condo address to deliver the foods to. Google Maps shown me the direction to go to that condo and the condo location. However it didn’t really tell and show me, from the 5 towers the condo has, the exact location of which tower inside the condo I should go to. Only with Singapore Maps I could get the exact location of which tower inside the condo I should deliver the foods. Singapore is one of the best country with its land public transport systems. Singapore has public bus, public train (MRT) and public light and small car carriage they call LRT. 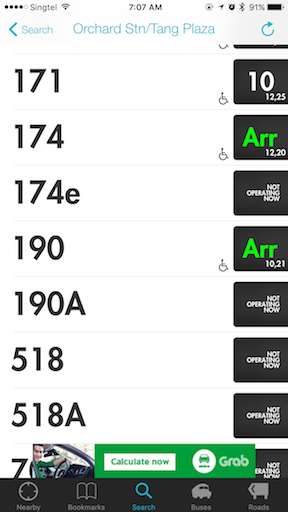 When you are waiting for certain bus to come and to which locations and bus stops the bus is going, this is the best and lightweight app I could find and recommend you to use. Best way to use this app is to combine with Google Maps. Doesn’t want to install too many things and complicate yourself? There’s an alternative one app solution for you. 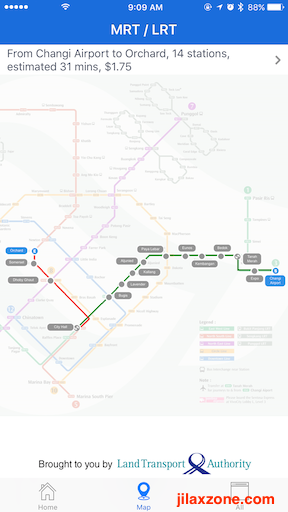 Know the best way to get from point A to point B, including the expected arrival time and cost, plus info of the entire Singapore MRT map plus the bus arrival time plus some others land transport related info, this is the best all-in-one app for everything related to land transport in Singapore. The caveat? The app doesn’t run as light as the other apps and have too many choices of menu and navigation, but you get all of them in one app. No need for switching back and forth. In an urgent, rushing to get somewhere faster or simply you can’t take or try to avoid public transport? There are also apps for that. This day who doesn’t know Uber? Well in case you are not, it’s a ride hailing service. The original idea is that people share their cars with strangers going to the same direction in return for some extra money. But nowadays it has turned into multi-millions dollar business. People purposely drive and share their cars to get extra income. Depends on the time, location and demands, taking Uber versus normal taxi sometimes can be cheaper, sometimes can be more expensive. In Singapore, you can opt to pay with credit cards (register it via the app) or cash. Same concept as Uber, it’s a ride hailing service originated from Malaysia. 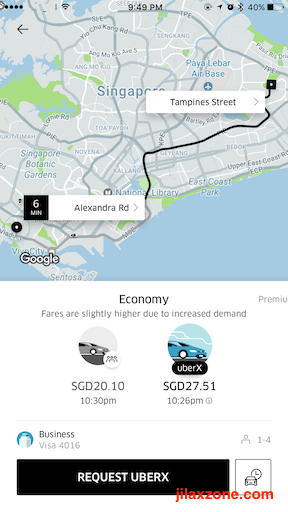 In case you can’t get Uber, you may want to try get a grab instead. Either taking taxi, Uber or Grab, the drivers don’t know and the individual apps don’t really show if in few kilometers ahead of you, there’s accident happening and causing a heavy traffic jam or there’s a road closure due to maintenance. Use Waze to outsmart the traffic, see ahead of you whether the road is clear and smooth. Alternatively, you can use Google Maps to see the traffic conditions. 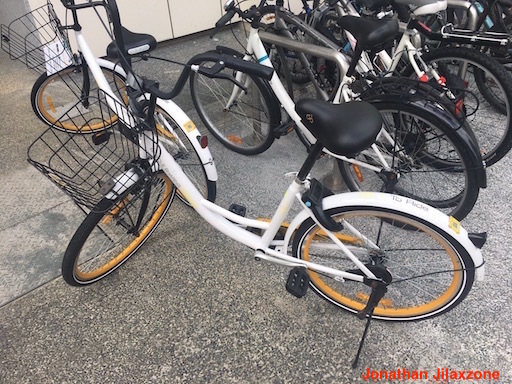 Singapore may not be the first country to have this idea and implement it, but nowadays you could see and find these bikes are available everywhere in Singapore islandwide for rent. Check this article on how to spot one. To date, it’s the most seen bikes available for rent in almost every corner of Singapore. The bike color is mainly grey with some yellow attributes. 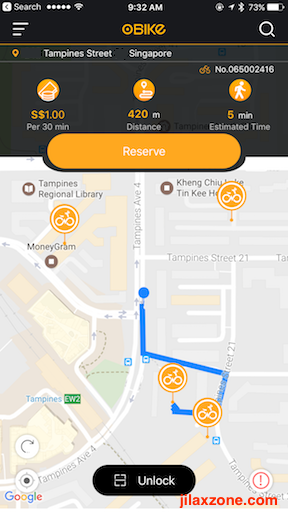 Ofo bike, historically was the first bike rental company with Uber concept to appear here in Singapore, it’s cheaper than competitors and doesn’t require you to deposit some amount of money, however today ofo bike seems outnumbered by the competitors. 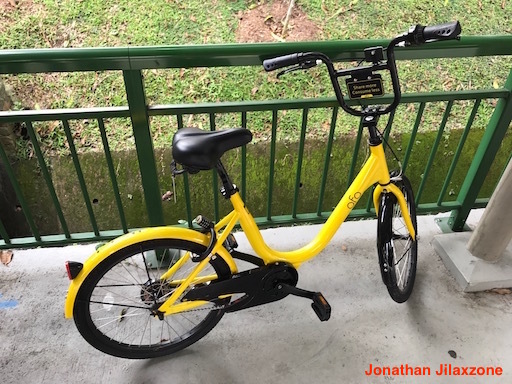 Anyway, should you seen one – it’s bicycles are yellow in color, this is the best deal you can get here in Singapore for cycling in the city state. Mobike was the third bike rental company with Uber concept to appear here. To date its bicycles still quite rare to be seen. However should you seen one, probably you would like to give it a try. 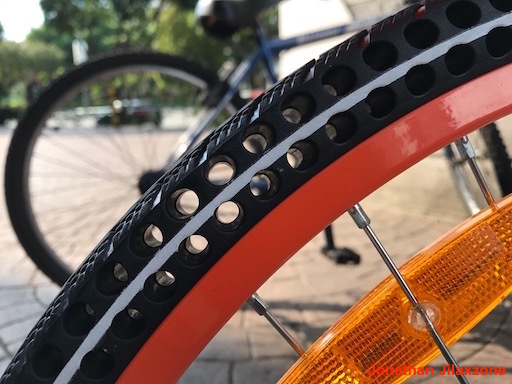 Their bike is equipped with the air-less tyre technology. In case you can’t imagine how it looks like, see below image. 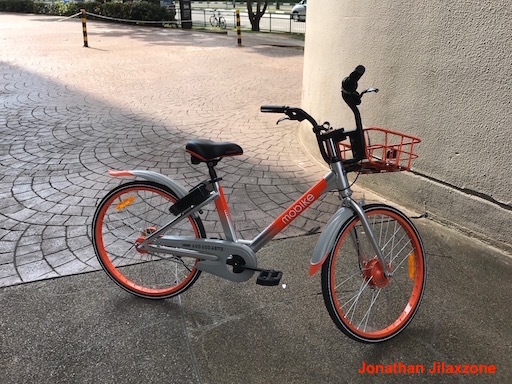 Mobike bikes are grey in color, similar to Obike, but with orange attributes. Either it’s raining, super hot or its just you super lazy to go out due to whatever reasons, there are plenty of food delivery choices available in Singapore, both local company and international brands. Different companies also have different choices. Since Uber is almost everywhere world-wide, it’s the easiest choice for tourists like you if you already have Uber account. Pick the food selections ranging from hawker foods to restaurants, east and west cuisines. Originated from London, Deliveroo is now available to send food to your doorstep. As of May 2017, Food Panda, based on my experience seeing and bumping into their couriers while in city, is the busiest food delivery. Food Panda couriers are easy to spot, they use orange-color t-shirt. Their food selections also huge. Do take a look and order some. Becoming a tourist which normally is spending time, doesn’t mean you have to pay full for everything. Here’s how to still enjoy as tourists but pay like a local. 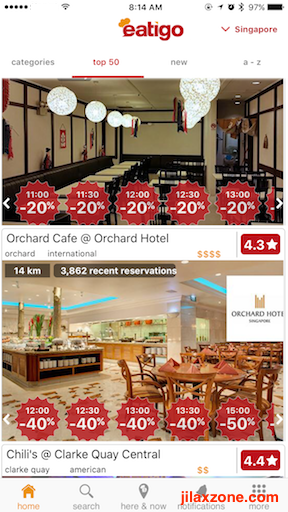 Tourists Must Have Apps When Visiting Singapore: Eatigo – Get Discount! 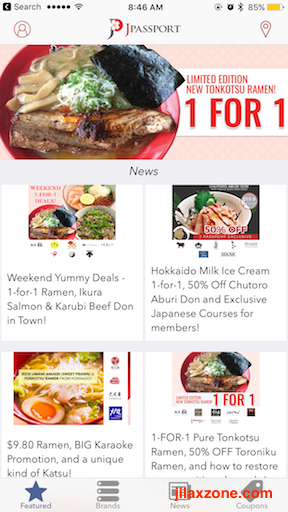 Get discount up to 80% on select foods and restaurants daily. Book from their app to enjoy discounts. The best is, you don’t need to pay anything up-front. Book, come, eat then pay. 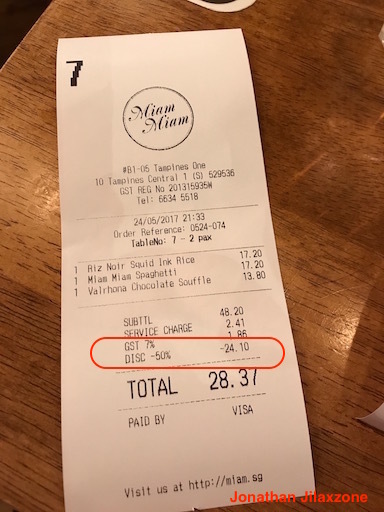 This was few days ago when my wife and me visited one of the restaurant and get 50% discount – thanks to Eatigo. 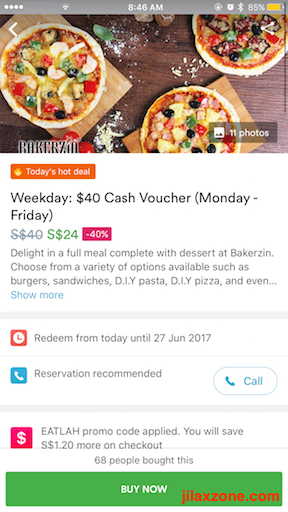 Groupon Singapore now renames to Fave, has many food discount offerings. From local restaurant which you may never heard before to famous restaurant. Make sure to check the app first before entering the restaurant, who knows its listed on Fave. Craving for Ramen or Sushi? 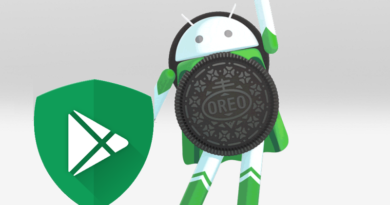 Check this app first before making your purchase. Originated from Singapore, Carousell is big in Singapore. 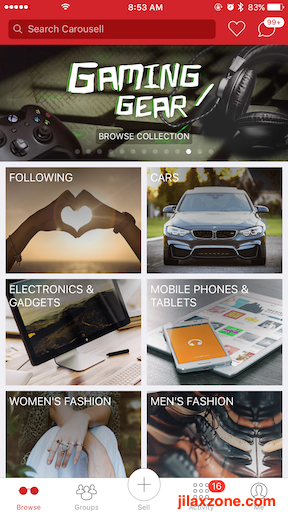 You can find almost everything here: attractions tickets, concert tickets, coupons and discounts, brand new and used handphones, brand new and used clothes and fashion items, cars and apartment for sell and rent. Think Carousell like eBay in US. Since the sellers at Carousell are mainly individuals and the buyer protection system is not yet as good as eBay, do take precaution when dealing with them, especially if you are asked to transfer the money up-front. You can check the guide here (it’s tips for buying second hand iPhone, however most of the tips are applicable for any transactions). Read as Cool-ten, it’s like Amazon in Singapore. Buy anything from clothes to gadgets. During new product launches, like Google introducing Google Pixel last summer, in Singapore you can get it easily at Qoo10. Most public space in Singapore, such as parks, malls, food centers are all covered with WiFi with most are provided by Wireless@SG. Download the app to manage your connection, so next time you hop to a new place, you don’t need to re-key-in your username and password. 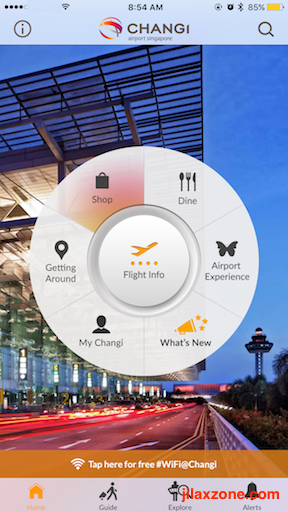 Singapore Changi Airport has its own app, named iChangi. You can check your flight schedule both arrival and departure, discover places to eat, drink, relax and even sleep, explore and find out what are the facilities Changi Airport has. Do you know they have movie theater that you can watch for free? 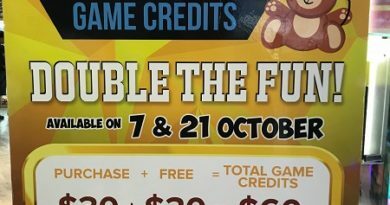 Do you also know that Changi Airport has entertainment zone where you can play latest gaming console while you are visiting Changi Airport, all for free? Make sure to grab the app now. Whether it’s free and easy time or you are bored with all the tourist venues, find other interesting venues using the help of these apps. 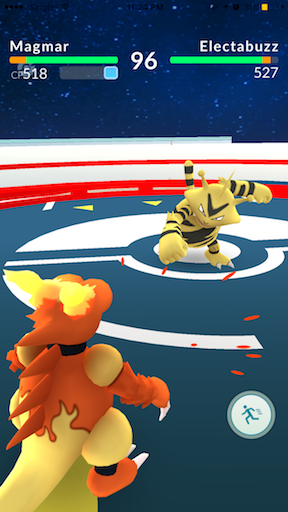 Although I have been in Singapore for almost 10 years, before Pokémon Go, I only know Sentosa and East Coast for the beaches recreation in Singapore. After Pokémon Go, I know Pasir Ris and Changi also have beaches with great views. Who knows you can also accidentally spot some great places while you are here. Long before Pokémon Go hit the market, there is a similar with even more interesting “game” to play, it’s called Geocaching. It’s not catching digital monster like Pokémon Go, but treasures left purposely by its owner who also play Geocaching. During my time playing, I found out somewhere West Coast they have hidden river with great view. Plus great beach somewhere north Woodlands (now I forgot the exact place but will update when I recall). One of Singapore local radio, which play a mix of latest songs, and some good ol’ songs. On top of songs, sometimes they deploy their DJs to a certain place to hand over discount coupons and rewards. Stay tuned! Singapore leading news stations, reports both local and overseas news. In Singapore, everyone can be a journalist. Want to know news that mostly not covered in TV, newspaper and radio? Stomp is the right place for it. Spot an interesting event, report it. Thinking to cook yourself but lazy to go out from your place of stay? The pioneer in shopping groceries online. They can deliver island-wide wherever you are in Singapore. If you shop for more than S$30 (first timer), you’ll get free delivery, otherwise a flat-rate S$7 is charged to you. The biggest and homegrown Supermarket brand in Singapore where most locals go shopping for their groceries needs. Local calls it NTUC, while tourists and new comer know them as FairPrice. You can find almost any groceries here, plus they are on decent pricing and great quality. According to its website, to enjoy free delivery, you need to spend S$200. Details Q&A can be found here. Looking for a place to makan (local language to say “eat”)? From hawker to buffet restaurant, get the reviews here. You can also make reservation from the app. Another food review app to discover places you may not find on tourists guide. Get to know business owner stories as well, how they made their business from zero till today. Just because you are a tourist, doesn’t mean you can’t enjoy local privileges, right? Enjoy perks like a local with all these apps above. Do you have other apps that I haven’t mentioned above? Do tell me, I’ll added to the list. Cheers!